TITLE: Windows XP Product Key. 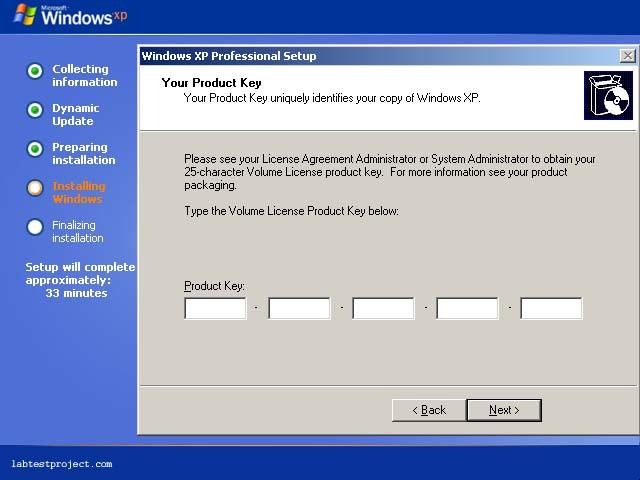 WINDOWS XP SCREENSHOT DESCRIPTION: On the Windows XP Product Key screen, you need to type in the correct 25 character volume license product key on the text box provided. Please contact your system administrator to get the volume license product key. Click Next button after you key in all 25 character volume license product key on the box.